Welcome to Hawthorn School ! Hawthorn’s mission is to work closely with parents in shaping the leaders of tomorrow. We recognize parents as the first and most important educators in their children’s lives. 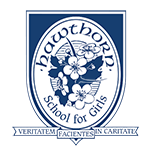 Hawthorn was founded in 1989 by a group of families as a place where parents and teachers would work together in creating the very best learning environment in which every girl can make her mark, as an individual. Hawthorn’s educational project is set upon five key pillars:Pursuit of Excellence in Education; a very unique Personal Mentorshipreinforcing our Character Education Program; a close Partnership with Parents and Leadership through Service, all these leveraging the all Girls Advantage. 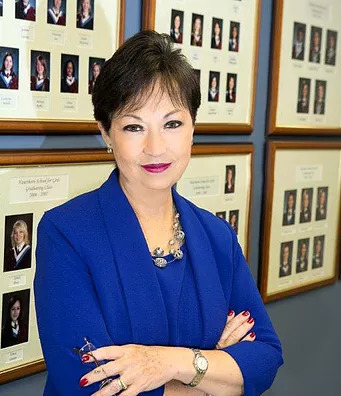 At Hawthorn, our students are prepared with the knowledge, problem-solving skills, and virtues – good intellectual and moral habits – to succeed in their studies now, in university, in their professional career, and in their future family life. We work to provide them with the ability to integrate and apply what they have learned to their ordinary life and circumstances, which only extensive and repetitive practice and training can provide. We believe that the skill of solving problems is inseparable from communicating solutions in a compelling way. This is why Hawthorn students apply their expertise and critical thinking to reporting, thesis writing, debating and presentation skills. In the Upper School, all of this culminates in the Master Discourse Project, in the graduating year. Please join us for a tour or a day visit to experience the dynamic and spirited environment of Hawthorn School. We look forward to have you with us.